The Halloween shopping starts this weekend !!! Everything must be perfect for your doll to be the most terrifying, ugly and malicious ! Also, your decoration must be impeccable to surprise and scare your poor victims ! The Halloween store opens its doors again so that your doll can prepare for the frights to come ! Find all the decoration and outfits from previous years. The store will stay open until Sunday, 4 November at 11:59 pm. 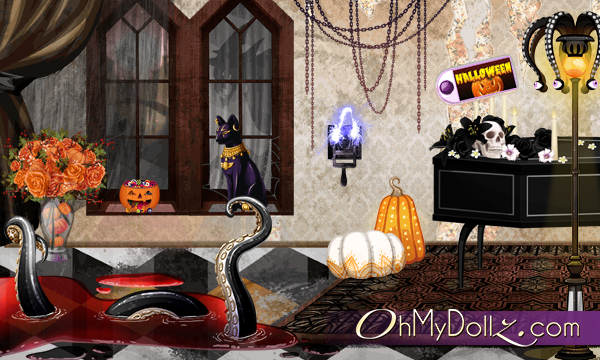 Take advantage of this opportunity to complete your spooky collection on OhMyDollz !